Due to GPON’s downstream broadcasting being sent from the OLT to all ONUs, someone can reprogram their own ONU to capture incoming information that was meant for another ONU. Not only can another ONU intercept data, but there can also be a fake OLT transmitting and receiving data from multiple subscribers. The unknown attacker can now receive important data being sent up and downstream such as important passwords. 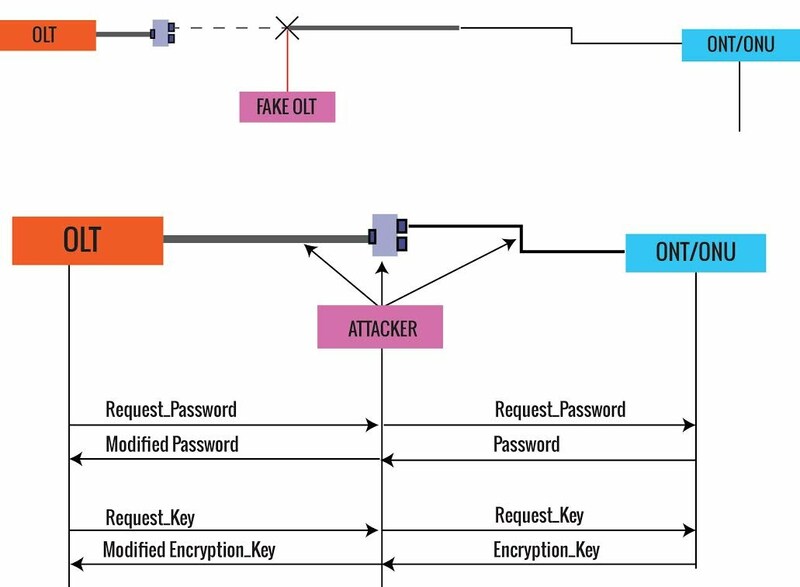 Due to this capability of interception, GPONs recommendation G.984.3 shows mechanisms for security in which an encrypted algorithm, Advanced Encryption Standard, can be used so it will be difficult for information to be encrypted by using byte keys 128, 192 and 256. To know more about upstream and downstream data and how it travels, click here.